Codefactori is a complete solution for software development teams. Addteq wants software teams to be free of restrictions, outages, and other obstacles that stifle productivity and innovation. With a fully managed, hosted, and customizable software environment, development teams will be able to work the way they want to, not restricted by their tools. Codefactori, coupled with Addteq's DevOps professional services, provide software teams critical insights and techniques on optimizing their release process. Codefactori is fully managed and hosted. Eliminate capital expenditure costs of hardware, data centers, and payroll for regular maintenance and upgrades. This allows software teams the flexibility to work efficiently without managing their infrastructure. 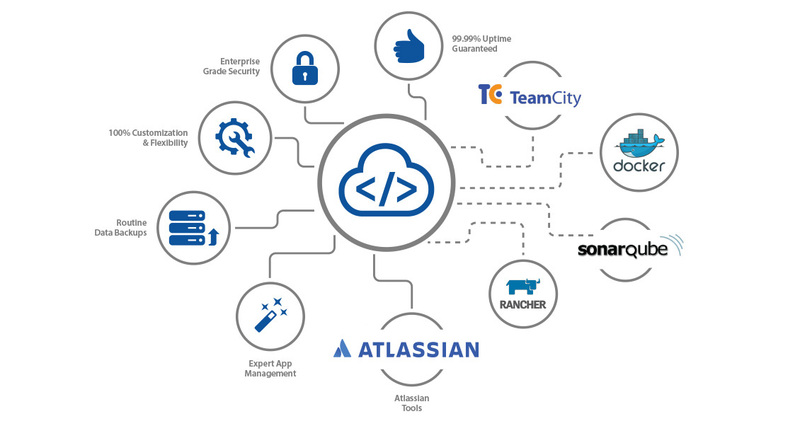 Customize your tool ecosystem to match your business needs. This includes integrations, custom workflows, automated post functions, and triggers. Codefactori provides enterprise grade security and is designed to ensure the highest level of protection of your data. All communications between the user and Codefactori are over SSL and all applications running on Codefactori are always kept up to date with the Security Advisory. Applications running on Codefactori are monitored 24/7. Backups are taken every 30 minutes and stored in a separate geographical location with full encryption. Codefactori has 99.99% uptime with 30 min RPO and 2 hours RTO. Codefactori also has the option of including other software development tools as well as version control systems. Integrate your favorite tools in one location.